To say “goodbye” to Portugal and close this series of posts about my journey to Porto and surroundings, I would like to share with you some special moments, places, tastes, memories of here and there during a short and eventful week last May. 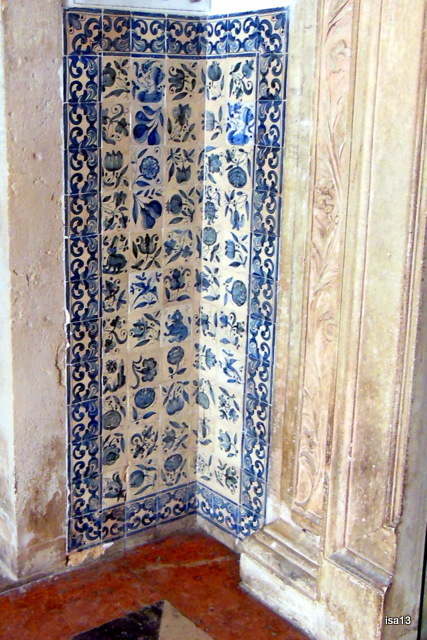 Azulejos. The beautiful blue and white painted tiles inside houses, on the facades of churches, on walls like here in a hall of Coimbra’s ancient university. Vende se. For sale. An empty house full of memories of people. A house whose inhabitants may have left for various reasons. Lack of buyers for selling it to ? No means to repair it ? Moving to another city in search of a job ? Emigrating further away in Europe, the Americas, Africa ? One sees many such abandoned houses or closed down shops during these critical times for the Portuguese economy. 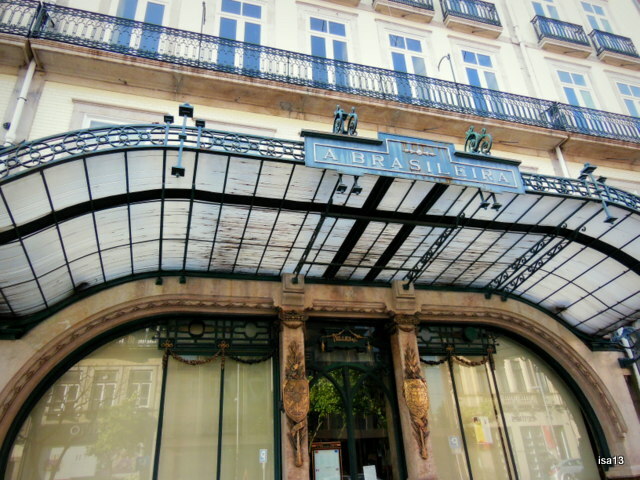 Art Nouveau style. A striking contrast. 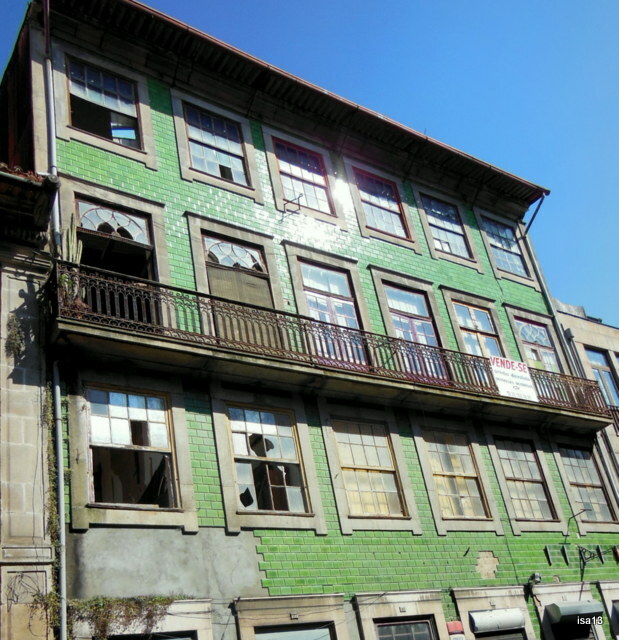 A lot of buildings of the early 20th century in Art Nouveau style, are still visible in Porto. 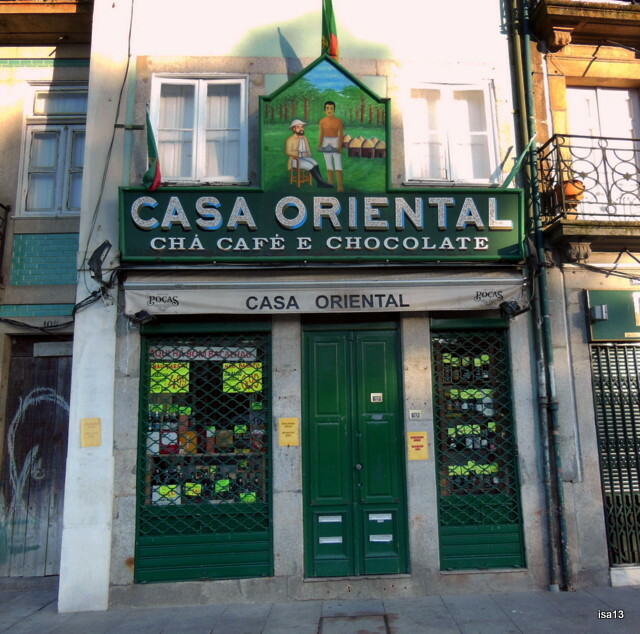 This ancient coffee house has been closed but its prestigious façade and decoration remain. A memory of times gone. 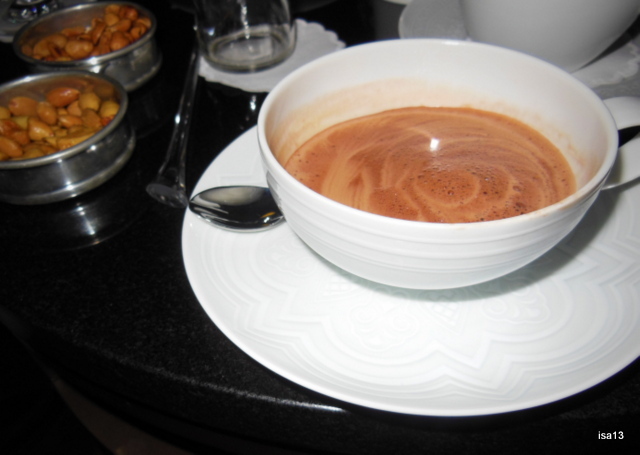 Brazilian hot chocolate, probably the best I ever drank (and this is a Swiss telling you this 😉 Believe me, this creamy, tasty, full-flavored beverage is worth the detour. 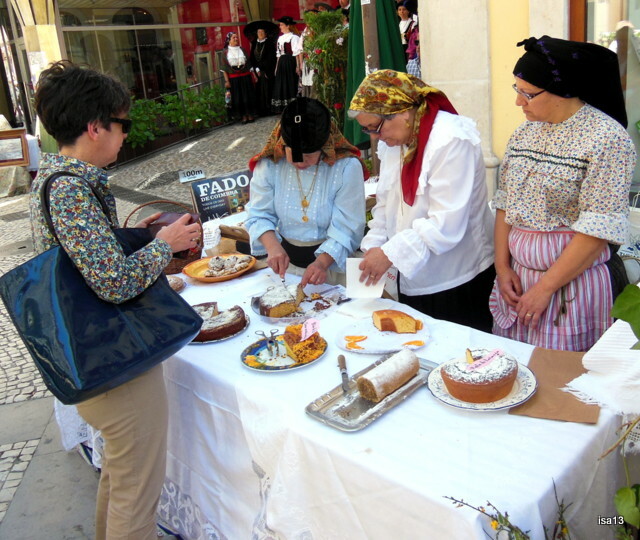 Pastelleria (bakery), cakes, pastries and sweets are renowned in Portugal. You find bakeries everywhere offering an abundant choice of delicious sweets. Here in a street of Coimbra at the end of a folk festival. Stamps. 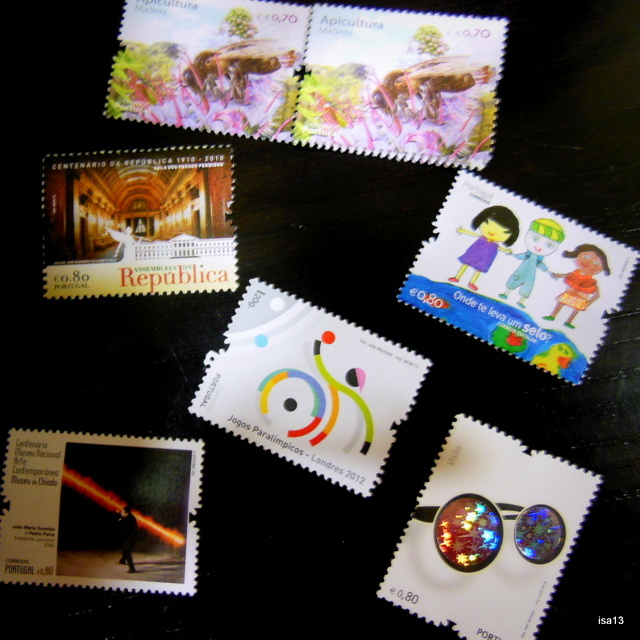 I like writing and choosing nice stamps for my postcards or letters. In a little village along the Douro river, a very nice young lady at the local Post Office went out of her way to choose all kinds of different stamps for me. In doing so she also loved practising her French, which I really appreciated. People’s kindness and friendliness were constant during my stay in Portugal. Shops and windows. Some shops still have this old or vintage look that one hardly ever sees any longer in my country. Simply delightful ! I could have photographed so many of them ! Flowers. When and where you least expect them, they come at you through a gate, over an old wall, along a street. 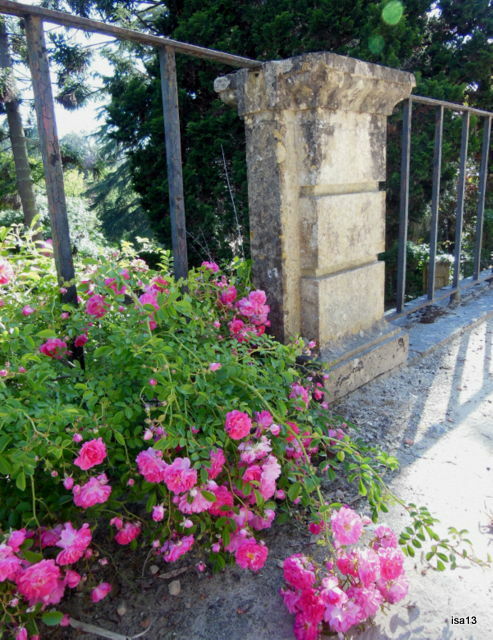 Bundles of colourful “flores“, highlighting any old stones. Churches are numerous in Portugal, of all styles and epochs, simple or heavily decorated, often with azulejos. 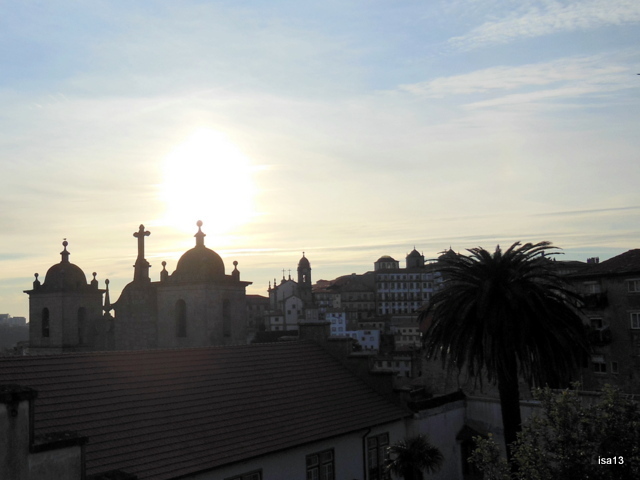 I chose to show this Porto skyline with you. No overpowering churches but present and beautiful, barely outlined in the setting sun. Thank you for having followed me during the Summer across my journey to Portuguese cities, gardens, river and other places I felt like sharing with you. I really appreciated your visits and comments.